The Brand Experience team is about creating the ultimate shopping experience for our customers. As the Brand Experience Executive, you will support the Manager to deliver best in class executions of marketing strategies, in addition to driving superior centre performance. This includes delivery of in-centre digital communications, in-centre experience programs, launching new digital products and services, agency and external supplier management and data analysis and interpretation. In this busy and challenging role, you will work alongside the Brand Experience team on marketing strategy, events and communications, as well as play a key role in the broader Customer Experience Team. We are looking for a creative, passionate and highly motivated Marketing professional who can help us harness the marketing potential of Westfield. This is an extremely varied role in a busy and fast paced environment, where no two days are the same! Gaining an understanding of customers needs by analyzing insights, listening tools and research data. Providing inputs for the centres Brand Experience Plan with a focus on retail energy, and local priorities and pillars / programs. 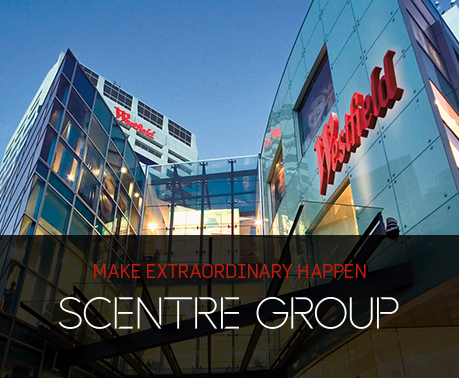 Assisting with the preparation and management of the annual centre Brand Experience income and expense budget. Developing plans &\; execution (including timelines and budgets) for key centre campaigns in conjunction with the Brand Experience Manager. Contributing to and executing local implementation of digital strategy to deliver customer focused needs across owned, earnt and bought channels. Working effectively with agencies and external suppliers to deliver quality creative assets and services on time and on budget. Bachelor degree in Marketing or a related field. Demonstrated experience within a marketing role, where you've had exposure to brand management, digital &\; social media, event management, research and analysis, and public relations. Excellent communication abilities across all platforms, with a good foundation of negotiating and influencing skills. An unfiltered passion for the retail sector! Ability to adapt to a 7 day a week dynamic environment. We encourage and support our employees to find balance in their work lives and what is important to them outside of work by embrace a flexible approach to working. If you're able to perform the requirements of the role and need some form of flexibility to do so, we're open to your application and ideas on how we could make it work.